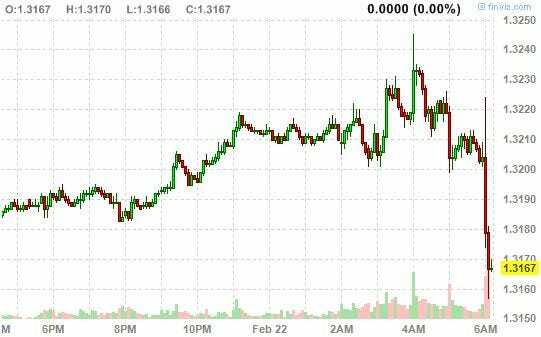 The euro just fell to its lows of the day. According to Bloomberg, the ECB is saying that European banks will be repaying just €61.1 billion worth of loans from the second tranche of the long-term refinancing operations (LTRO). These are the loans that were offered starting in 2011 to troubled eurozone banks to boost liquidity in the banking system. Estimates for repayment were for around €122.5 billion, reports Bloomberg’s Mike McKee.